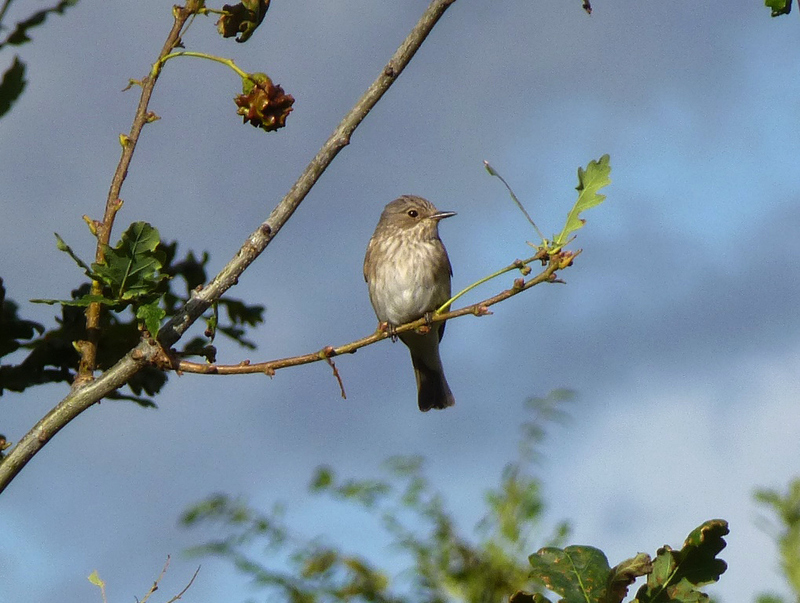 A Spotted Flycatcher spotted at Mudchute. Photo via John Archer. The following birdwatching news comes from Tower Hamlets Biodiversity Officer John Archer. There had been a big fall of passage migrant birds in London this week with many species passing through Mudchute on their journeys. First reported on 26th, on 27th was 1 Pied Flycatcher, 2 male Redstarts and 4 to 5 Spotted Flycatchers in the paddocks, along with a few Willow Warblers, Chiffchaffs, Whitethroats, Lesser Whitethroats and Blackcaps. These are probably Scandinavian breeders, brought across on the South-Easterly airstream and grounded by the heavy rain on Wednesday. A few birdwatchers from various parts of London have been visiting Mudchute to see the flycatchers and redstarts. Have you spotted any unusual birds on the farm? Do send us a tweet @mudchute! 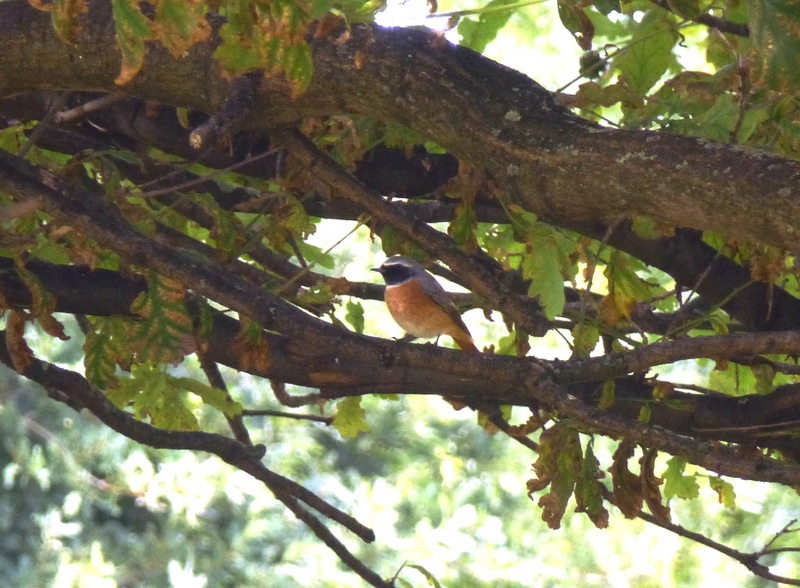 A Redstart spotted at Mudchute. Photo via John Archer.